DEHRADUN, 10 Feb: Aditya Mehta Foundation today concluded another hunt to create future champions. Twenty-six specially-abled athletes were shortlisted to represent India at the International Winter Para-Games event to be held in 2020. 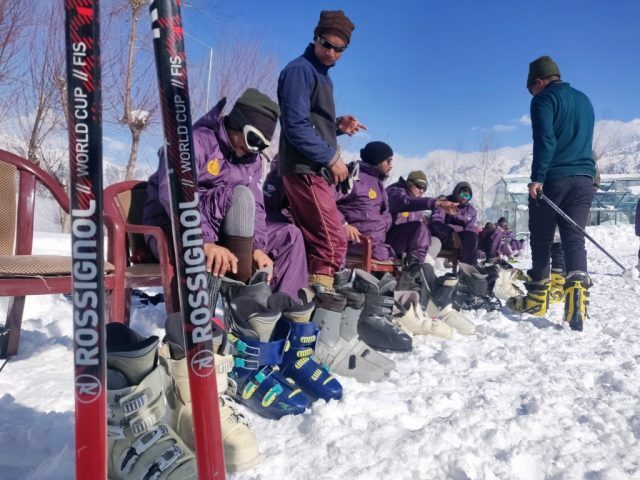 The 1st ever ‘Winter Para Games Training Camp’ was organised at Auli, starting 4 February, with support from Uttarakhand Tourism Development Board and Indo-Tibetan Border Police. The shortlisted specially-abled athletes will be trained by the Foundation’s team of specialised trainers and coaches at their training facility in Hyderabad for the next one year. The foundation will provide special customised and stimulated equipment to suit the specially-abled athletes’ level of disability to help them perform at their best. They will be trained in various winter game disciplines like Alpine skiing, Biathlon, Snowboarding and Wheelchair curling. The specially-abled athletes participating in this event include 12 visually impaired youths aged between 15-18 years; amputees including above knee, below knee and both knee, CRPF and ITBP soldiers who were injured in the line of duty.